The aesthetic devices offer multiple options to enhance aesthetic appearance. Rising obese and geriatric population is the key driver of the market studied. The increasing awareness about appearance also contributes to the strong growth of the market. 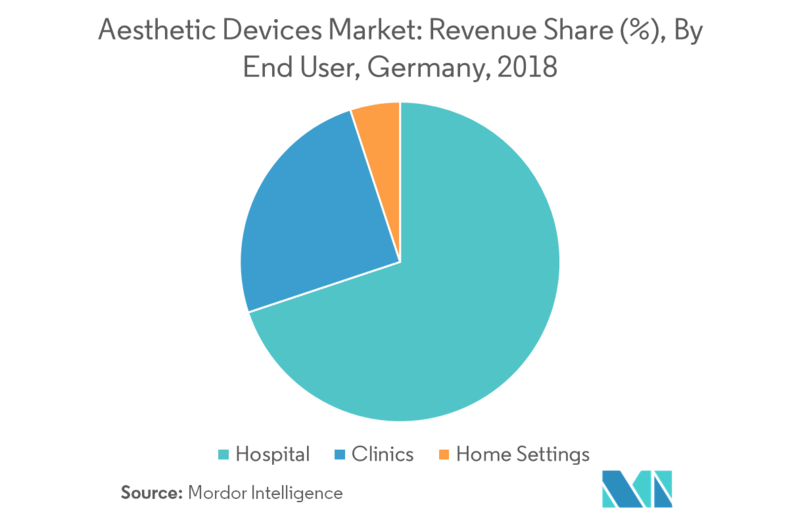 The market is also expected to witness a growth with increasing installed bases of aesthetic devices in clinics due to the rapid demand. Increase in demand for aesthetic or cosmetic surgeries has been reflected in the changing attitudes toward youth and beauty. Many advanced non-surgical and minimally invasive techniques for performing the aesthetic procedures were being developed in the 21st century. The millennials, aged 18 to 30 years, are opting for cosmetic surgeries and procedures, thereby driving the demand for the market studied. Celluma, a light emitting diode (LED) device manufacturer, is being launched in Europe, after being available in the United States since 2013. The flagship device, Celluma PRO, is to treat acne, wrinkles, and a variety of musculoskeletal and pain conditions. It has a CE marked as a Class IIa medical device for dermal wound healing, which is also a technological advancement in the industry. Merz, a global leader in medical aesthetics, has launched the Belotero Lips products, which are now available in selected countries in Europe. As per the scope of this report, aesthetic devices refer to all medical devices that are used for various cosmetic procedures, which include plastic surgery, unwanted hair removal, excess fat removal, anti-aging, skin tightening, etc., that are used for beautification, correction, and improvement of the body. Aesthetic procedures include both surgical and non-surgical procedures. The home settings segment is expected to witness a CAGR of 7.9%, as these devices are proved to be safe and effective for home settings. Hence, rising adoption rates are being observed regarding domestic usage, as well as for anti-aging aesthetic procedures. 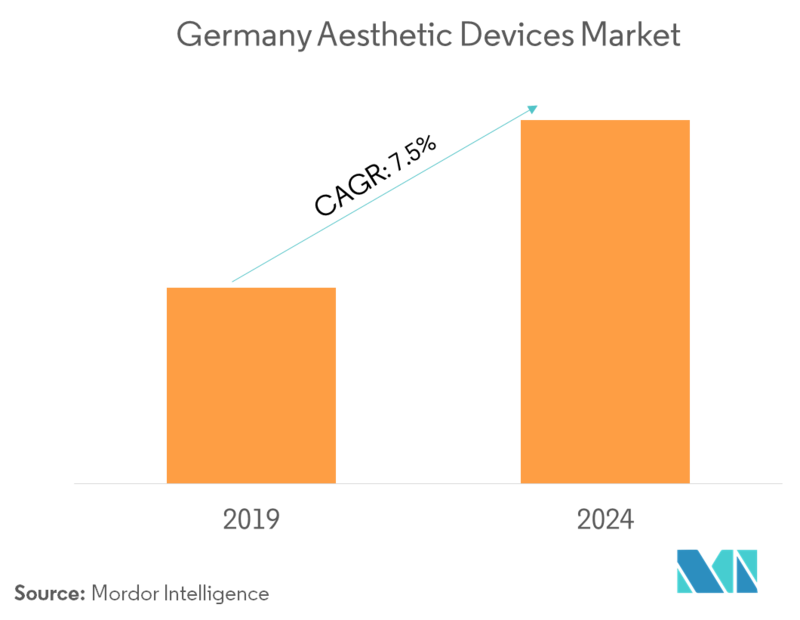 Over the forecast period, gradual growth is expected for particular segments of the aesthetics industry, as these devices are major part of the Class II category under the FDA. The existing market players are competing with the new entrants, in terms of sustainability, on various fronts, such as capital requirement, marketing strategies, distribution channels, and the availability of resources. This is leading to numerous acquisitions in the market. 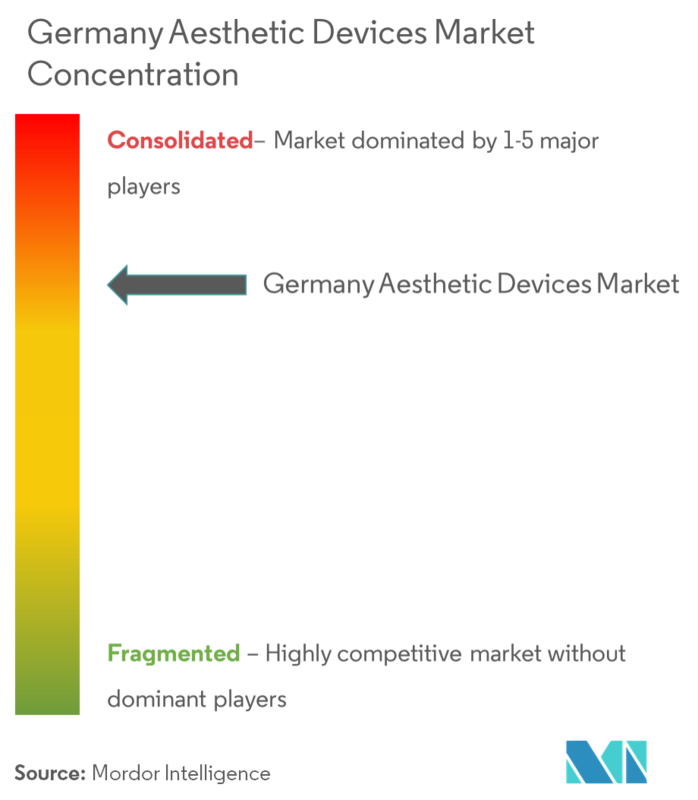 On the other hand, some of the major players from the other developed regions are entering the German market with advanced technologies, and creating a hurdle for the existing regional players.